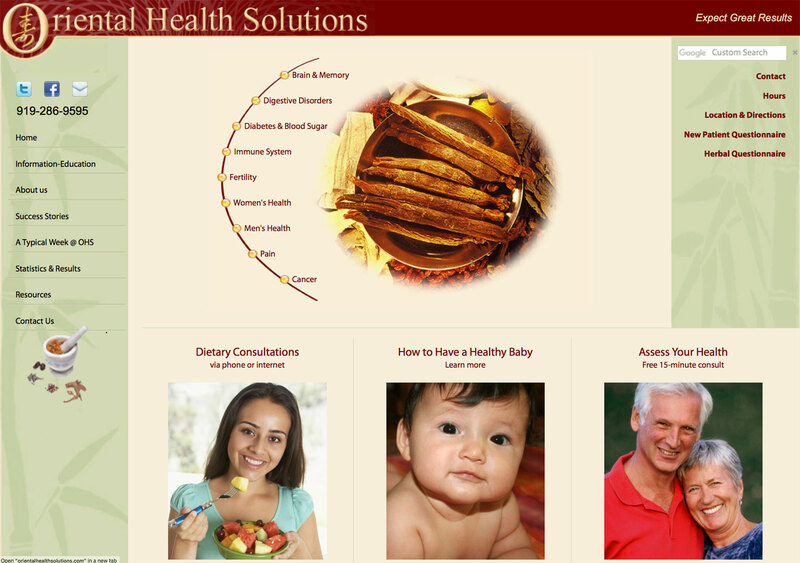 Rouviere Media created this complex website to handle this health practice's large repository of health information. Oriental Health Solutions is a busy practice in Durham, North Carolina, that treats a variety of health problems. The practice's website requires a complex but user friendly navigation system with many home page links. Creating a navigation system that was simple and handled the large amount of information without confusing users was the biggest design and development challenge of this site. The navigation design took many hours of consultation, but the result is an attractive, streamlined site that is a treasure trove of data on a wide variety of health problems. 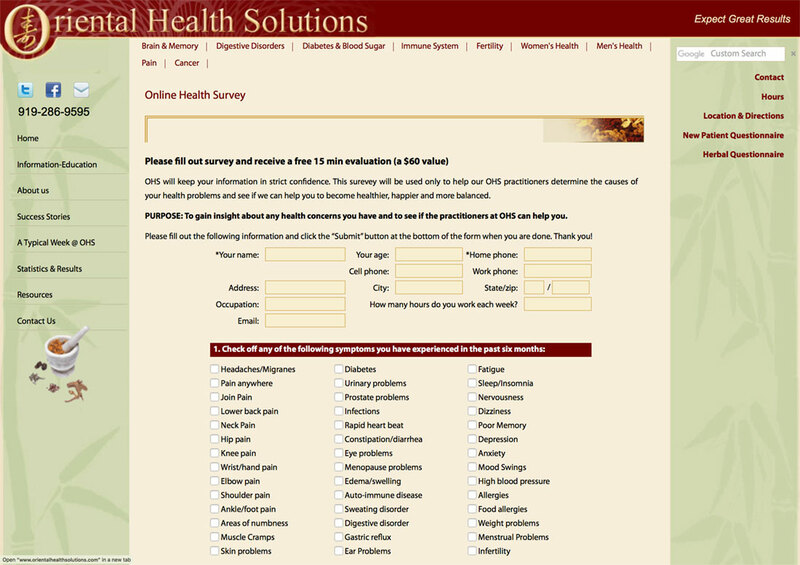 Among the site’s features is a complex health assessment questionnaire.